The chief executive of one of the country’s most prominent BME-led housing associations has called on Westminster politicians to “grasp the Brexit nettle” to avoid local communities being thrown into chaos as the countdown to the UK’s departure from the EU gathers pace. In a New Year message, Ali Akbor, who has headed Leeds-based Unity Homes and Enterprise for two decades, warned that fears over a no-deal Brexit or second referendum were causing deepening anxiety amongst tenants. And he argued that MPs from across the political divide now had a responsibility to reach an agreed way forward. “Unity is not a political organisation and has no desire to become one,” Mr Akbor said. “But our staff are close to the people we serve and it is clear that the decisions politicians make in the coming weeks will impact on tenants’ lives for years to come. “I am particularly concerned about the aggressive tone and negative rhetoric we have heard from both sides of the Brexit debate, and the dangers this poses to community cohesion. That is why I am wary of the damage a second referendum campaign may inflict. 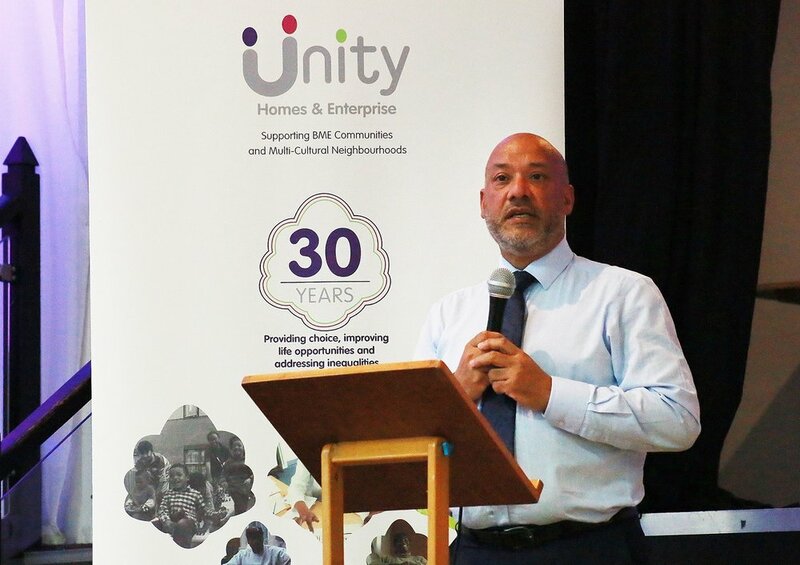 The Unity chief executive - also secretary/treasurer of BME National, a collective of over 60 BME housing associations - said it was “essential” that a Brexit compromise was reached in Westminster. Mr Akbor said there were apprehensions about the damage that Brexit uncertainty was doing to local businesses . “Unity Enterprise, our not for profit subsidiary, hosts more than 80 businesses across three locations,” he said. Mr Akbor said he was proud that Unity had utilised its 2018 Annual General Meeting as a platform to pay tribute to the bravery of BME Commonwealth soldiers in the First World War, which ended 100 years ago. “Those soldiers fought for our freedom over oppression,” he continued. “They played their part in creating the rich fabric of the modern United Kingdom. Millions of British citizens of BME origin now form a central plank of our nation. We need to continue to reach out, not pull up the drawbridge.